Audra worked as a welfare advocacy staff attorney with the Sargent Shriver National Center on Poverty Law for five years. At the Center, she wrote a monthly column monitoring the effects of welfare reform on local public aid offices throughout the state of Illinois, as well as representing clients in administrative and court proceedings. At the same time, she worked as an adjunct professor of law at DePaul University in Chicago for four years, teaching her course Introduction to Poverty Law. During her last year at the Center, Audra was asked to join the campaign of our current junior U.S. Senator from Illinois, Senator Barack Obama, as his Deputy Press and Policy Director. She took a leave of absence to work on Senator Obama’s Senate race for 15 months before returning to her roots in public interest. 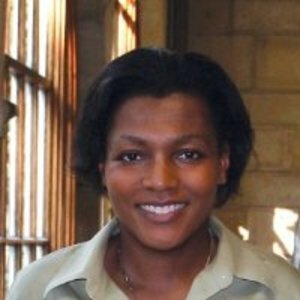 Audra joined the Northwestern staff as the Director of Diversity Education and Outreach in March of 2006. Her office is responsible for proactively engaging the Northwestern Law Community in learning about the dynamics of diversity by providing vehicles for discussion, reflection and education. She continues to work on issues of urban policy, most recently serving as the Chair of the Urban Policy Committee for U.S. Senate candidate Alexi Giannoulias, and on the transition team for newly inaugurated Lieutenant Governor Sheila Simon. She is currently teaching her course Introduction to Poverty Law, and continues to consult several elected officials on issues on poverty throughout the city of Chicago.